In 1953 after great success and failure as a writer Frederick Buechner left his post at Lawrenceville School to write full time. After leaving the security of his job he found he was unable to write a word. Needing to make a living he pursued several options. 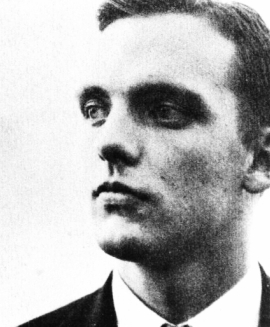 After his initial failed attempt as a professional writer Buechner sought employment in the advertising world but found that he needed a toughness that he knew he didn’t have to weather the rejection that can come in that business. So, in a complete roundabout he sought work with the Central Intelligence Agency. The United States had developed a hydrogen bomb and Khrushchev had become the leader of the Soviet Union. If there was to be another war Buechner would have rather been in the CIA rather than back in the infantry. Buechner had to interrupt his studies at Princeton to serve in the United States Army from 1944 to 1946. When asked in an interview if he could inflict pain upon someone to extract vital information in order to save lives Buechner realized he didn’t have the stomach to torture someone and discarded the CIA as an option. After these failed attempts at writing and finding gainful employment Buechner found himself feeling that much of his life was a farce. Finding himself on his own pilgrim’s progress — his own divine comedy. This comedy took him to church, simply because he had nothing else to do with his Sunday morning. After listening to sermon after sermon Sunday after Sunday Buechner was drawn to George Buttrick’s sermons. One sermon, actually one phrase, in particular struck him with great significance. Buttrick, in an off-the-cuff comment described Christ’s refusal of Satan’s temptations and the counterfeit crown he was offered. Buttrick said that the inward coronation of Christ as King takes place in the hearts of those who believe in him. The coronation occurs “among confession, and tears, and great laughter.” Buechner stumbled upon the open door of God’s grace that had been opened to him as he mulled over the pair of words, “great laughter.” In his 1985 chapel address at Wheaton College he recounted that “On such foolish tenuous holy threads hang the destinies of all of us.” The spy’s secret life was of little significance for Buechner as he realized that there was a life hidden to him. He found what he had half or partly-seen at other times in his life. He said he “found Christ.” All the poetic, psychological or historical words he knew failed to fully describe this event. Buechner found he had to rest simply in the name of Christ.